The 300SE didn’t come with much concrete service history. I started a full service on the car to establish a baseline. This will allow the car to be properly maintained to the factory schedule. 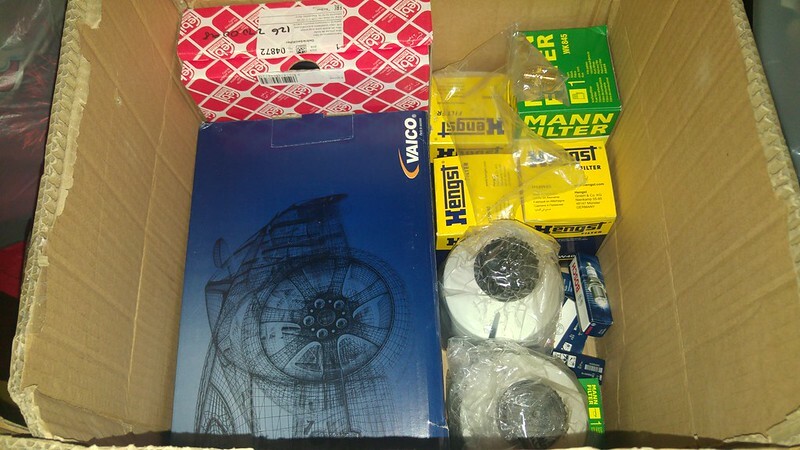 The service items arrived this week, after a quick call to MB Spares in Canberra. Still to do, is both petrol filters, air filter and to properly flush the power steering. This service I was only able to replace the oil in the reservoir. I forgot to order the right oil but the oil for the rear suspension also needs replacement. The car is fitted with rear self-levelling suspension that requires a Mercedes hydraulic oil. This suspension is based on the design used in the Citroen DS. Examining the car, it looks like it has been generally well looked after. It has a new radiator and back half of the exhaust system. It also would appear it has a refurbished or new A/C compressor. 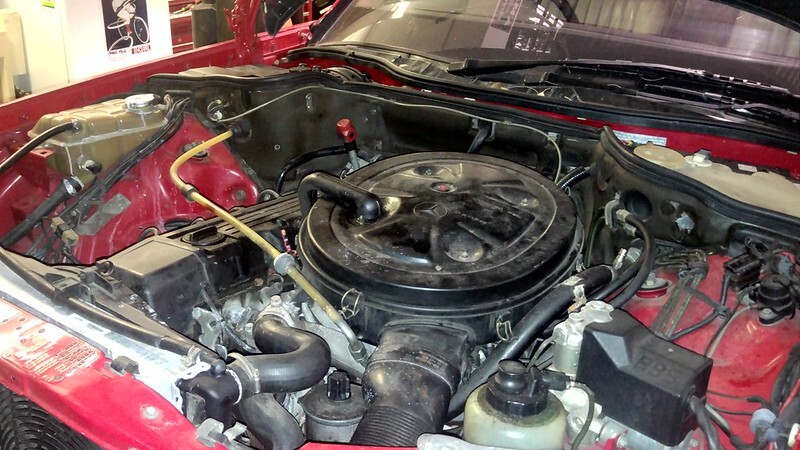 However, from speaking to the previous owners the last service was done by an ultra-tune rather than the normal Mercedes specialist and it shows. 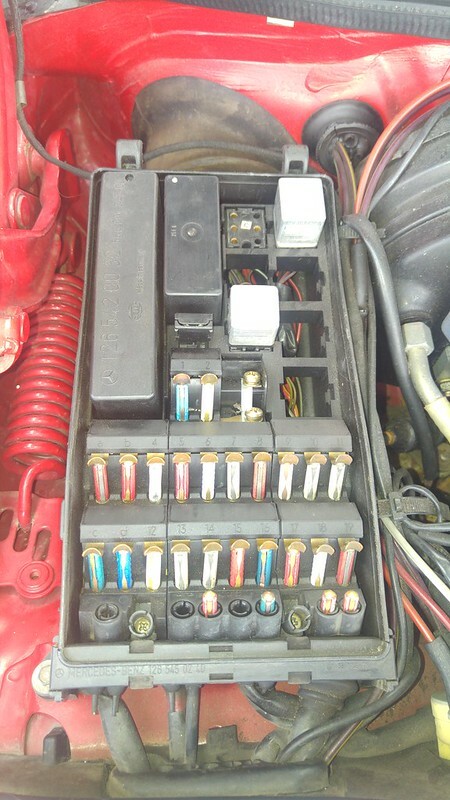 The car was fitted with resistor spark plugs. On a Mercedes of this era, non-resistor spark plugs are a necessity as the leads have resistance built in. Adding resistance via the spark plugs results in a weak spark. The car has more power and runs better with the proper plugs. Despite improving the car I had a setback today as the A/C stopped working. It went from working well to warm air almost instantly. My assumption is that the system developed a major leak, although I have not yet looked into it closely. I checked the fuses first, to rule that out and noticed I am missing a relay. It would appear it is for the high speed on the auxiliary fan. I don’t know why it was removed. I can only think that either it was blowing the fuse on high speed, or another relay that was more important failed. 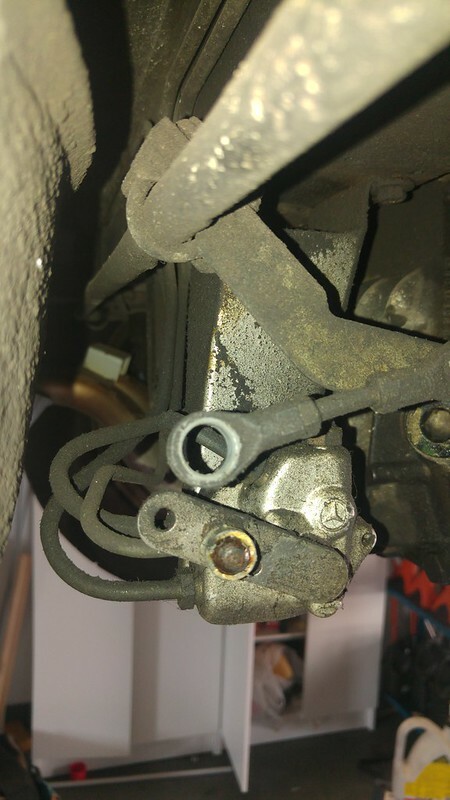 Finally, I also noticed a bad bushing had caused the height corrector on the rear-self levelling suspension to disengage. I was able to replace it temporarily until I can get a proper bushing. All in all, the 300SE looks like it will be a good daily driver. Next step is to finish the service, and fix the broken odometer. The A/C is also important, but beyond my capabilities.